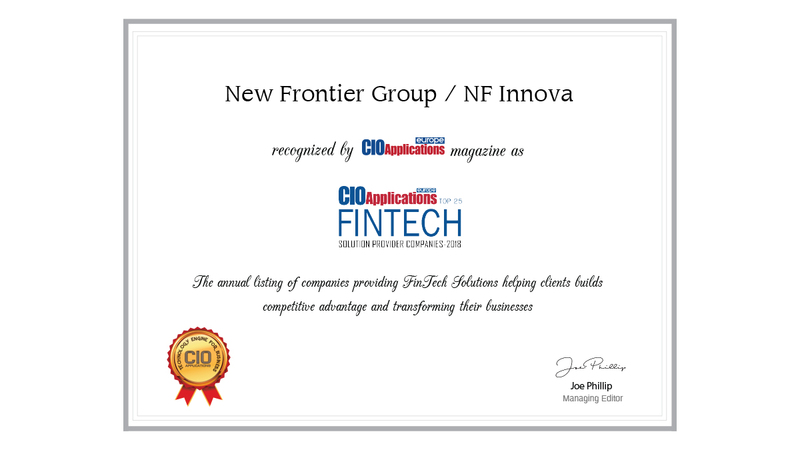 NF Innova, a daughter company of New Frontier Group, was recognized as one of the Top 25 Fintech Solution providers by CIO Applications Europe, for our unique digital banking platform. Solutions that we deliver can help traditional banks take on a central role in the emerging partner ecosystems and be irreplaceable in the customers’ daily banking. NF Innova digital banking platform enables seamless channel-hopping, enabling users to switch devices during the process without disrupting the flow of the action. With our platform we enable banks to easily manage a large number of clients from a single point of administration and provide consistency in communication on each channel in place, delivering the right information at the right time. “Digital banking is more than just creating mobile apps,” says Gregor Bierent, Managing Director in New Frontier Group. Read more about his take on digital transformation of banks in the CIO Applications Europe magazine.